There are several different types of saw blades that you can find available to be purchased on the market today and so choosing the right one can be intimidating and somewhat confusing if you don’t know exactly what you are looking for. Each saw blade type is best suited for specific cutting tasks and if you are to get the best results for your woodwork projects, you will need to familiarize yourself with the different blade types. In this article I will give a brief description of each type of saw blade and the cutting jobs for which they are best suited. Rip blades are the most common type of saw blade. They are designed to be used to cut pieces of wood along the grain. The cuts that they make will not be very smooth but they will cut through wood faster than crosscut blades. Saw blades that are designed to make cuts that are perpendicular to the natural grain in pieces of wood are called crosscut blades. These blades will not typically make cuts as fast as rip blades but they will produce cuts that are very smooth and so they are best suited for woodwork projects that require a fine finish. 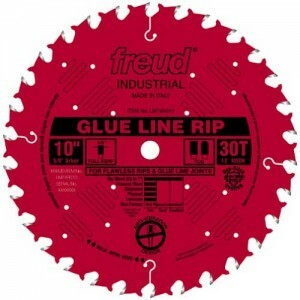 If you are working on a project where you need very smooth cuts then you will probably want to use a finishing blade. There are fine-tooth finishing blades that will typically have at least 40 TPI and are designed to make smooth cuts and there are also paneling blades that are made specifically to cut through materials like plywood and wall panelling. These materials will typically have one side with a finished surface, thus warranting the need for a specialized finishing blade. When working on renovations and projects involving reclaimed or used wood pieces, you will often find yourself cutting woods that have hidden nails. in cases like this you will want to use a nail cutting blade as they are designed to be able to safely cut woods with nails in them. As the name suggests, these blades are designed to cut through metal. When cutting through metal materials aluminum sheets, metals studs and steel pipes, it is best to use one of these specialized metal cutting blades. Every now and then you may find that you have to cut materials like ceramic or porcelain. This will happen a lot more often if you are doing tiling and masonry jobs. 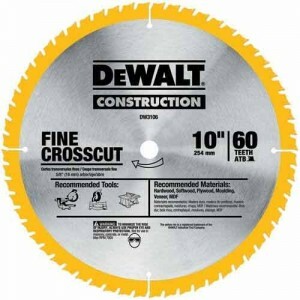 To cut through these types of materials you will need a dry diamond blade. 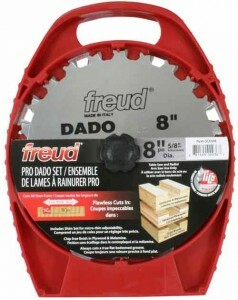 Dado cutting blades are normally used with radial-arm or table saws. They are specifically made to cut dadoes and grooves but they can also be used to cut moldings and tenons among other things. There are basically two types of dado blades: adjustable dado blades, which are easy to use and very quick and stack dado blades, which are known to make very clean and accurate cuts. As you can see, there is a blade for virtually every type of woodwork project. 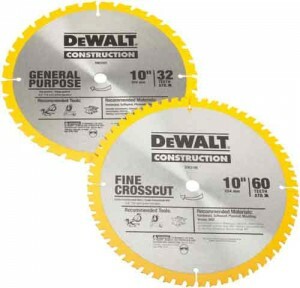 You will most likely be using either a rip blade or a cross cutting blade most of the time for your woodwork projects, but if you plan on doing serious woodwork it is good to know about the different types of saw blades so that you can chose the one that is best suited for each project and get better results.